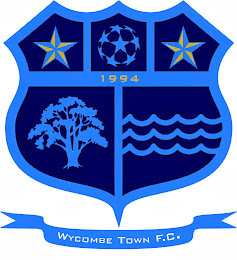 Wycombe Town FC: A REALY GREAT SEASON! Wycombe Town FC signed off their season by being in probably one of the best Challenge Cup Finals in a long time, a real nine goal thriller. Masters FC started really quickly and raced into a 2-0 lead within 15 minutes and before 'Town' had really got going, scoring two outstanding goals. 'Town' had to dig in to get back into the game and they did just that, scoring three top class goals through and unstoppable free kick from Rikki Gilbert, a Chris Paget power drive and powerful well placed header from Michael Butcher to go in at half time 3-2 up. In the second half, although 'Town' saw a lot of the ball, it was Masters who got the goals in the end and were well deserved winners 6-3. They will be good additions to the Premier Division next season and we look forward to our league games together in the future. 'Town' have had a fantastic season winning the Premier Division without loosing a game, winning the Chesham Charity Cup, reaching the semi-finals of the Berks & Bucks Intermediate County Cup and with the Reserves winning Division 2.